Henning Janssen is not know by most, but I can promise you he is the new kid on the block. 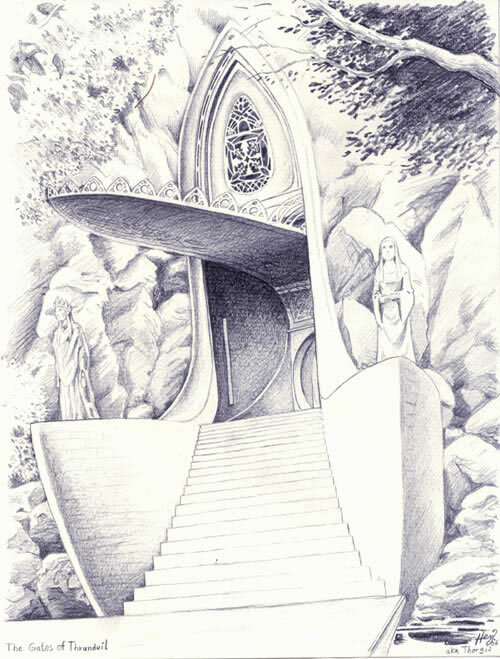 Some of us know him from his wonderfull Tolkien inspired calendars. 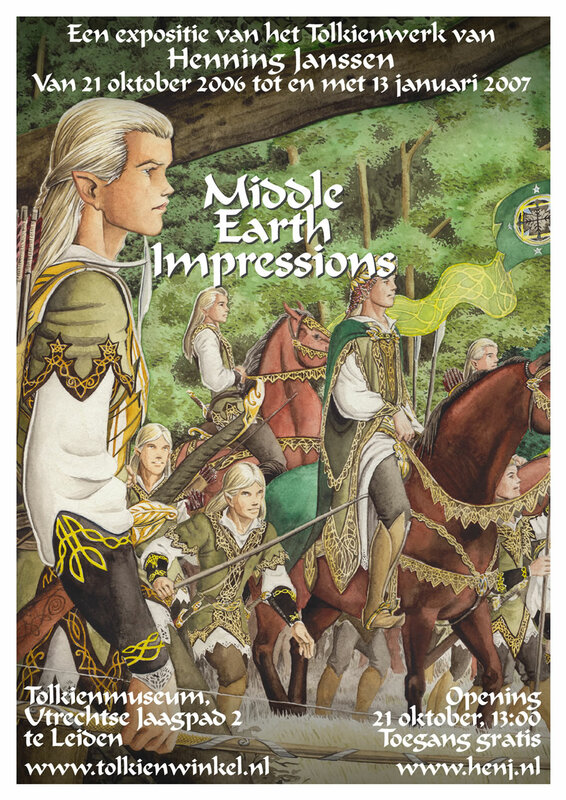 He is one of the so many Tolkien illustrators out there, but somehow he jumps out in many ways. His art work is unique, fresh and one of the finest I have seen in a long time. 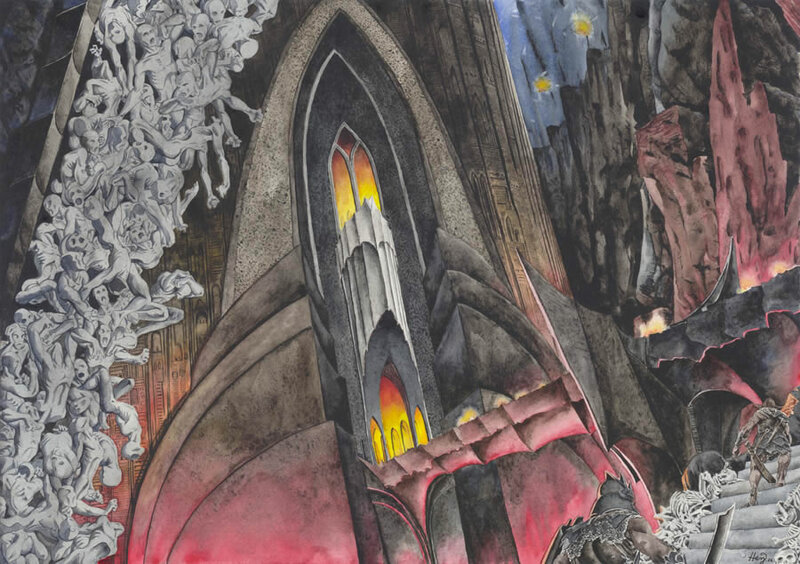 Also this year, fantasy artist and freelance illustrator Henning Janssen, has made a Tolkien inspired calendar with 12 new plates. A selection from these new works will be shown at the exhibition. The calendar will be first offered to the public at the opening of the exhibition and there will also be limited prints up for sale of his other works. This exhibition is an opportunity to meet the artist and discuss his style, media, and effects and enjoy the selection of art. Entry is free and complimentary refreshments will be served, it should be a marvellous experience and I hope you can come along. 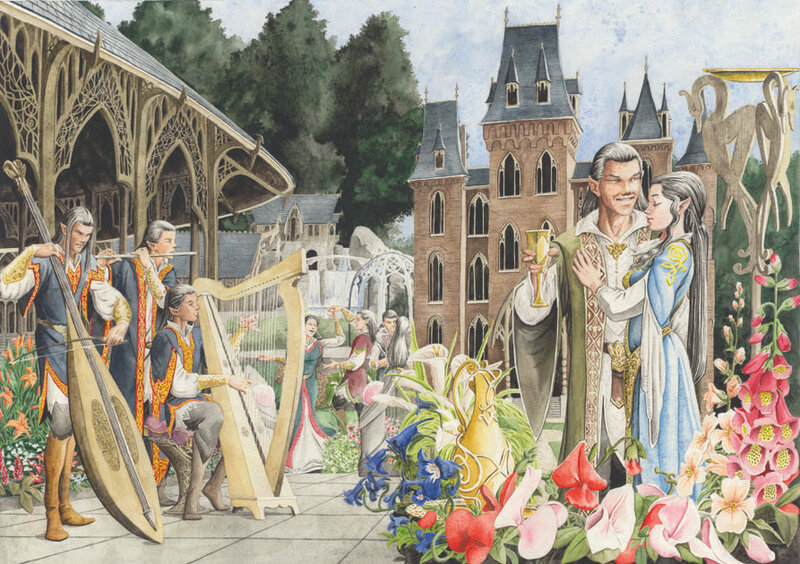 The Tolkien Shop is located in a wonderful and idillyc town in Holland. It is probably the only store in existence where you can only buy Tolkien related items, some call it the Tolkien Walhala. There is also a small Tolkien museum (admission free), where you can see first editions, autographed books, letters by Tolkien, translations from all across the world and items relating to Tolkien's visit to Holland in 1958. By car: take from motorway A4 Amsterdam - Den Haag exit Leiden-Oost. Keep following the signs Leiden-Oost volgen and when you enter the city limits you are on the Hoge Rijndijk. After about a mile you see a Shell petrol station on the left and a Kwik-Fit garage on the right. Turn right into the street on the left of the Kwik-Fit garage (DO NOT cross the bridge) and you are at the Utrechtse Jaagpad. The shop is around the corner, along the canal (well, it is the Rhine, but you get my drift: nice old buildings and beautifull boats). From the N11 Alphen a/d Rijn - Leiden the exit is also Leiden-Oost and follow the instructions above. Parking on the Utrechtse Jaagpad (space is limited), the Hoge Rijndijk and the area behind the petrol stration is free. From Leiden Central Station take bus 28, 169 or 182. After about 10 minutes exit at stop Plantage. Walk about 200 metres along the street, cross the bridge and enter the street on the left, that's the Utrechtse Jaagpad. You could walk from Leiden CS, but that will take about 40 minutes, from downtown Leiden about 20 minutes.